The final lesson of each term (in Australian schools) are very exciting weeks for me and my students. 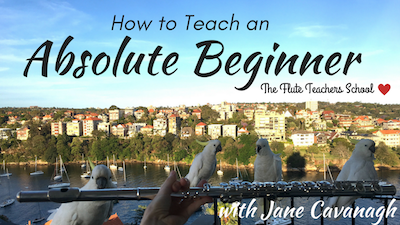 To someone peering in through the window on this lesson, they'd just notice each flute student coming into their lesson, having a scale test, and then completely blitzing their scales! That same onlooker would very likely think, "Oh that teacher is so lucky to have such motivated students". But the reality is quite different. They certainly are motivated students, but I've moulded them into being motivated! And having motivated students actually feels like my biggest reward for teaching the flute. So I'm going to tell you how I get each and every student to this point of excelling at their scales - and all because, quite simply, they now WANT to excel. If you're the flute player, just use a little imagination, and apply this technique to yourself. Because if you think about it - every time you practice, YOU are your own flute teacher! Over the course of around 10 weeks, the student will go from DISLIKING scales (and not being very good at them! ), to LOVING practicing their scales at home, and being able to play them note perfect. Hooray for that I say! Most students practice something by playing it wrong, then wrong again, then wrong again (and again), then finally play it right once and think that they can now do it! In actually fact, they have just reinforced the wrong thing into their fingers and brain. The technique below teaches them how to practice so that they will automatically play the right notes. 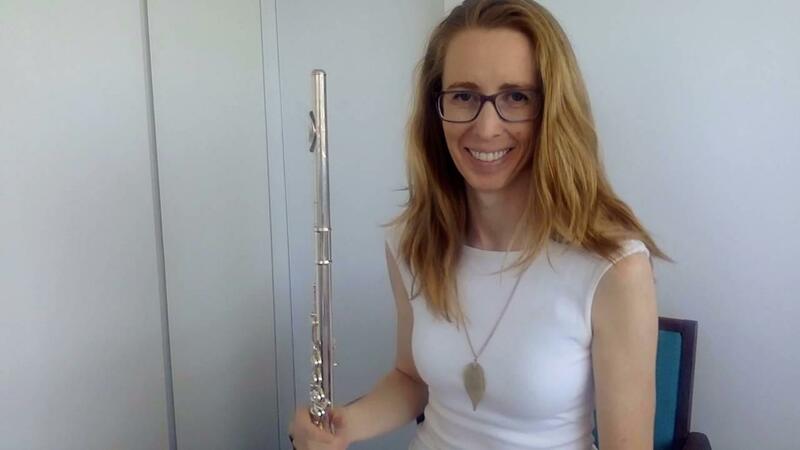 Most flute teachers have tried to do that before - teach their students to play the right notes. But this is different. Because it teaches them to WANT to play the right notes. And that is why it works so well. Once a beginner student knows 1 or 2 scales, they are ready to be included in what I call the "Sticker Competition". Write a LIST of all the scales your student knows in their notebook. Have the student PLAY each scale as you write each one. Re-teach them the scale if necessary. Tell them their homework is to PRACTICE those scales every day for a week. In the next lesson, HEAR the scales first (in other words, follow up on what you asked them to do). TEACH them a new scale (if they are ready for one) to add to their list. Hear the list of scales again in the following week. Keep this EXPECTATION of scale practice going from week to week. Set a DATE for the Sticker Competition. Normally I spend 8 weeks or so preparing scales with them before a competition. Each week, teach the student new scales and arpeggios and PREPARE them by telling them how many weeks until the Sticker Competition. Continue to emphasise careful, ACCURATE playing, and that playing slowly is fine. Tell them they can play each scale as SLOWLY as they need, but it has to have exactly CORRECT notes. Give them a few minutes PRACTICE TIME. Award the student a pretty cool STICKER for each scale that they play correctly. Using this method results in the student wanting to get the notes right, instead of just rushing though the scale (complete with wrong notes). Spending 10 weeks or so of concentrated time on scales in the lead up to each competition is gold! But it takes focus by the teacher to FOLLOW UP each week and check the progress of their scales, plus teaching them new ones. The teacher's focus keeps the student super focused on learning their scales, learning them well, and teaches them to LOVE good quality scale practice! Now, go forth and apply this to your students, or to yourself if you are your own teacher! 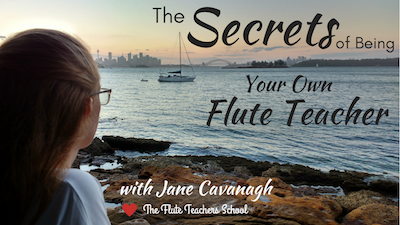 Are you a flute teacher? Want to know how to set up a beginner flute student with excellent playing technique - right from the start? Are you mostly teaching yourself the flute? 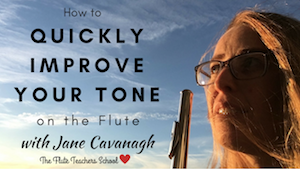 Learn the REAL reasons (and solutions) why getting better at the flute feels so slow and difficult!